From the beginning of time, Ipoh is considered as one of the main cities in Malaysia. It was one of the most important places at British Colonial Era. Nowadays, Ipoh becomes one of the main top tourist destinations in Malaysia Peninsula. It’s very appealing for travelers, especially the backpackers. It offers amazing historical sites, lines of the colonial heritage buildings, breezy natural scenes, finest culinary, festive night and flea market with the price that is claimed inexpensive by Malaysian standards. So, it’s clear Ipoh has to be put on your backpacking trips wish list. And for the best backpacking experience in this small town, finished your day by sleeping in these top backpacker hotels recommended by Traveloka. In many travel article talks about Ipoh, this hotel is mentioned at the top recommendation if you travel on a budget. 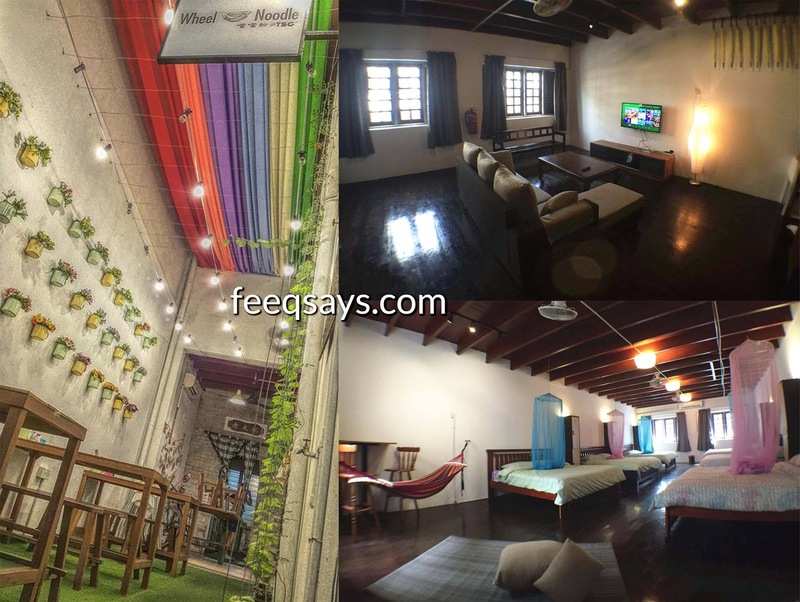 This hotel can be found at Jalan Sultan Yusuf Little India/Old Town 2A-1. It’s close to the main airport within a distance less than 4 km away. The Ipoh hotel has been designed very simple yet warm and friendly. It offers dormitory styled bedrooms with wooden-framed bunk bed cage and air conditioner. The bathroom available separated for sharing. The main facilities to supports the backpacker-styled retreat are public living room and bar/lounge. The living room features with free Wi-Fi, flat screen TV, small library, coffee/tea maker, desk, and the sofa bed to relax. You can enjoy the time socialize with other backpackers in here. To be mentioned, the hotel also provides bicycles to be used by the guests for free. This is the hotel you have to choose if you are the old school lover. Spending the night in this Ipoh hotel makes you just like going back to the old days. Regarding the name, 1981 Guest House shows you the nuance of the classical era. Located at Jalan Market 26 – Ipoh, The 1981 Guest House is designed inspired by colonial style shop house. The facade looks so majestic with black and white color and tall wooden windows. Step inside the property, you can see the influence of Peranakan Style. It’s applied throughout the whole dorm room. Teakwood furniture, wooden floor, and the ceiling are beautifying the look. Each room features single beds with sleeping net, ceiling fan, and seating area. The bathroom is available for sharing. There’s living room inside the property. This public area covers hammock to relax, seating area, LCD TV, and Internet corner. Beside, separated dining area, Kopitiam, and bike rental service also provided by 1981 Guest House. The Ipoh hotel is unique with contemporary style. The facade looks so good with black glass wall and vines covers it. The interior is significantly designed by the influence of industrial style, with steel cage and concrete wall and floor. The hotel is very suitable for the urban and easy going travelers. The accommodation is offered in two types: pod/capsule and dorm room with bunk bed. The pod room contains single bed, individual reading light and ventilation, personal locker, foldable desk with mirror, and electric power plug. All rooms are air-conditioned. The shared bathroom is complemented with free toiletries. There a Pod Plus room with queen size bed for two guests. Female guest can choose rather sleep in the mixed or female pod. 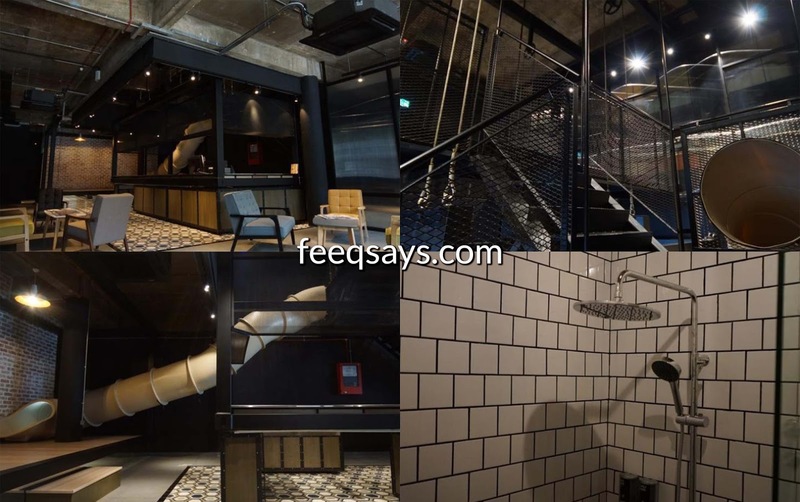 Container Hotel Ipoh has the finest facilities. There’re rooftop terrace and common area for you to relax or spares time socialize with other backpackers. There’s bicycle rental on the receptionist. The hotel is located at Jalan Sultan Yusuf 89-91. It’s less than 4 km away from Sultan Azlan Shah Airport.